Welcome back to our series dedicated to managing the bear that is spring cleaning. If you are just joining us, you may find a boost of inspiration from our article covering some of the worldwide traditions revolving around cleaning out the old energy to make way for a new year. After checking that out, you may have a bit more pep in your step when it come to dealing with your big bathroom clean. For sanitary reasons alone, maintaining an exceptionally clean bathroom is crucial. 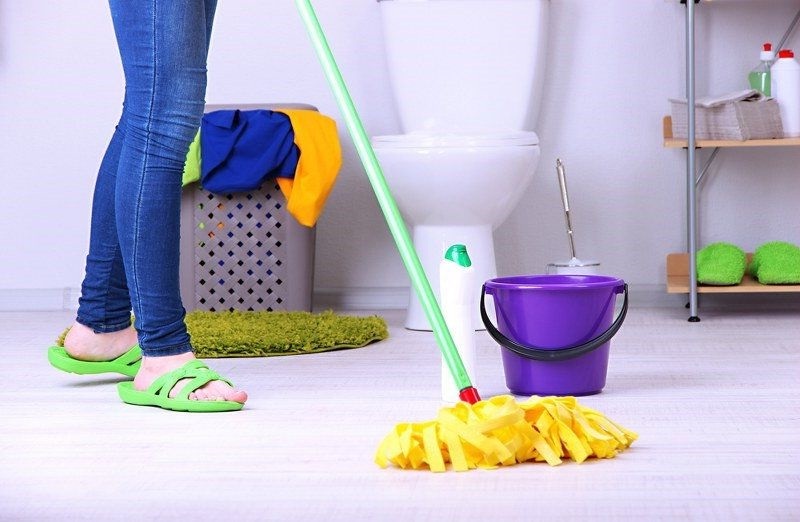 It is important to use spring cleaning to get all of those forgotten zones of the bathroom that regular weekly cleaning may not touch, then use the spring cleaning to institute any new good healthy habits for cleaning. Now that we’re winding up to get moving with the bathroom, we wanted to share some helpful household tips on getting your clean done efficiently and completely within a delicate weekend window. That bathroom isn’t going to clean itself. We want to ensure that we have everything we need before we jump in. It’s easy to fall off track if you need to leave a room each time you’re missing some supplies. Most of the items should already be in hand, but if not you can conveniently pick them up at your local grocery store or pharmacy. 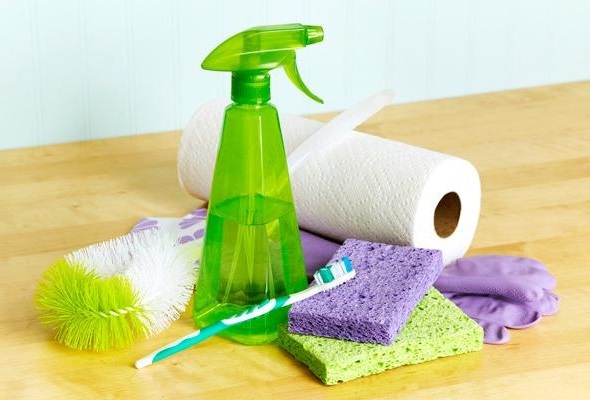 As much as possible, we try to recommend items that are suitable for green cleaning. If you really want to go all out on a deep toilet clean, you can pick up a 2000 Flushes tablet. All hands on deck: Get the kids involved to make spring cleaning another of your rewarding family activities. Now that we have our supplies in hand, we can take a peek into the bathroom. 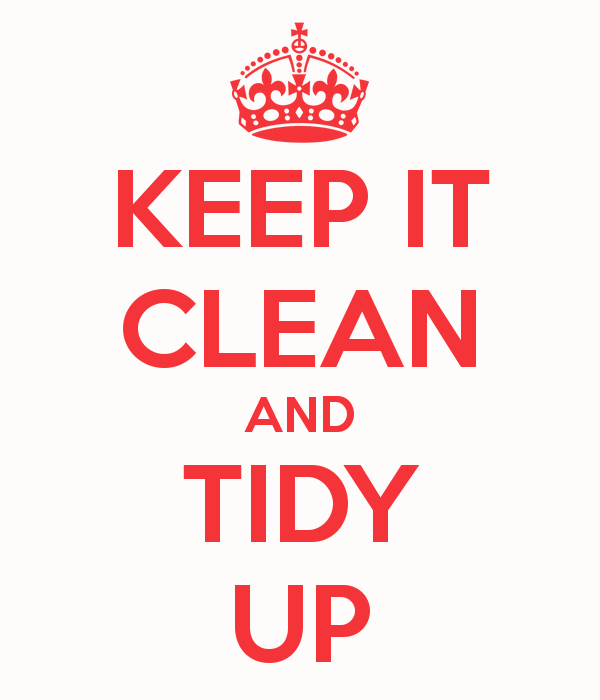 In order to be able to clean, we need to have clear access to surfaces, so tidying up will be necessary. This is why we brought along a box for non-disposables. You can go about this a couple of ways: either relocate items from countertops and ledges beneath your sink, or put everything (including lower cabinet items) into your box for a more comprehensive clean. This is a great opportunity to trash anything that doesn’t see use or has expired. During this step, we also want to remove any laundry. Hand towels, bath towels, bath mats, even curtains: everything is fair game. Getting the load of laundry started before we clean the bathroom (or multiple bathrooms) saves us time later on. Since this laundry could be musty due to the trapped moisture in bathrooms, adding some vinegar to the wash can greatly alleviate any odors. Note about plastic shower curtains: If you are washing a plastic shower curtain, ensure that you are washing on warm rather than hot to avoid damage. Hanging it to dry after the wash will help to avoid wrinkles. That’s all for now! We try to keep our articles to smaller bite sizes since our readers tend to prefer it. We’ve got additional installations in this series just around the corner.